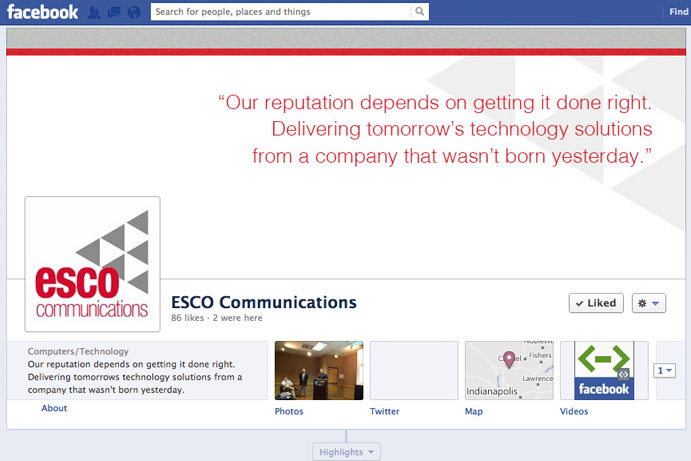 that represent ESCO Communications' true identity. A leading communications solutions provider with headquarters in Indiana, Indianapolis. 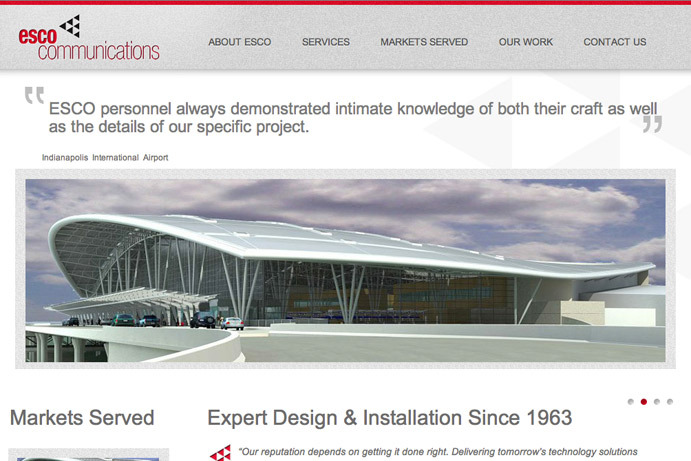 ESCO hired us to carry out several large, interesting projects for them. We were tasked with the responsiblity of making sure their overall brand and marketing strategy was modern, consistent, and effective across all advertising platforms. 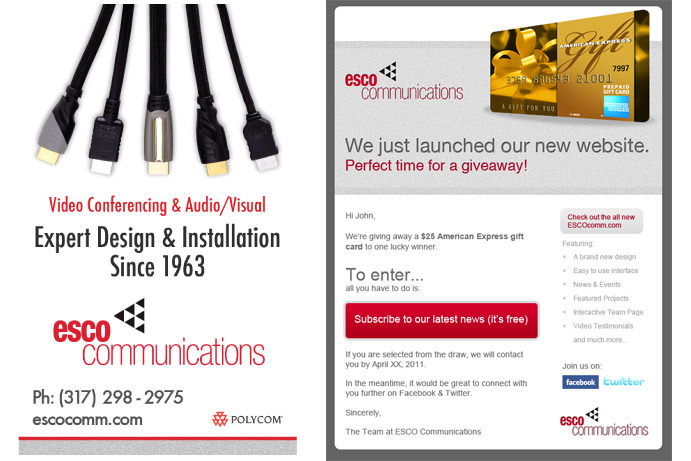 We started with the design and development of their website, ESCOcomm.com, which is now a powerful online sales tool for the company and their sales people. We also provided ESCO with a news section to keep their visitors up to date on their achievements, activities and general company news. With a poweful, easy-to-use CMS system powering the website, the team at ESCO enjoys the freedom of being able to edit all aspects of their own website. Next, was the overall branding of the company. 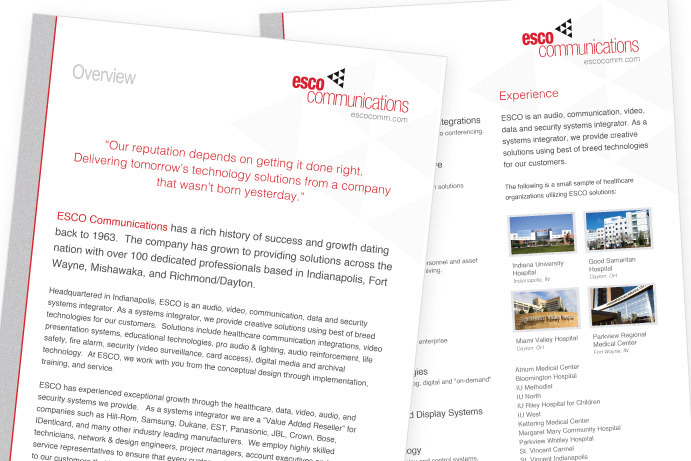 We examined every aspect of how ESCO Communications interacts with their potential and existing customers. After we gained a clear understanding of this, we were able to incorporate a new, strong and consistent message across all levels of customer engagement.